Description Printed in colour. Size 35cm x 31cm (14" x 12"). 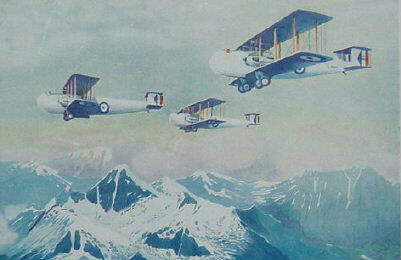 In 1928 and 1929 during a revolution in Afghanistan, the Royal Air Force rescued 600 men, women and children of various nationalities, in Vickers-Napier "Victoria" aeroplanes, from the capital Kaul to Peshawar in the North-West Frontier Province of British India.